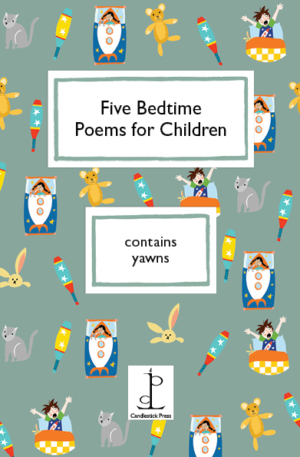 Five fabulous bedtime poems to ensure the sweetest dreams for your children. Includes a sticker, bookmark and a page for children to write their own poems. With colour illustrations throughout by Amy Blackwell. Five Creepy Crawly Poems is especially for those who like centipedes, snails, spiders and slugs. And fleas. And flies. Five Poems about Gh…Gh…Ghosts is for children of all ages and fun for grown-ups too. Five Poems about Teachers is for children up to the age of eleven, and their teachers. The Tale of Custard the Dragon is a delightful read, a classic by much-loved American poet Ogden Nash.